The side of a glacier as the light picked out the clear ice. 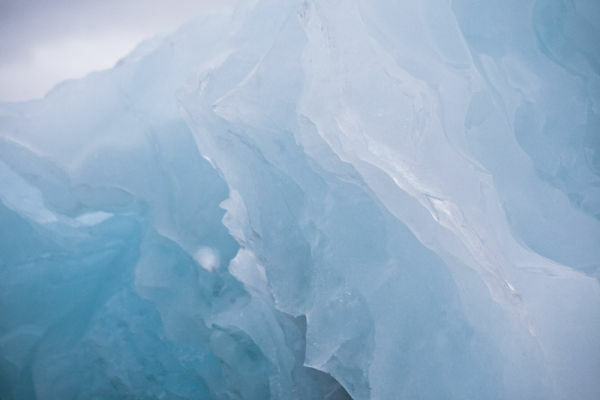 When melted and refroze the glacial ice retains this beautiful tone of blue. Add light and this is the result.